The very talented musician Matt is collecting a bunch of our talented pals and “associates” for the launch of his next CD, Sunday Morning. 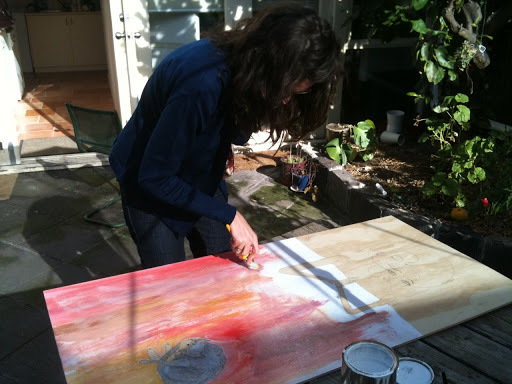 The new record is sounding amazing, and I’ve been painting one of the tracks for the upcoming show… Here is me beginning to tackle it a couple of weeks ago. While painting in acrylics is NOT my forte (I much prefer drawings and watercolours) it has been very fun to do something big and different. 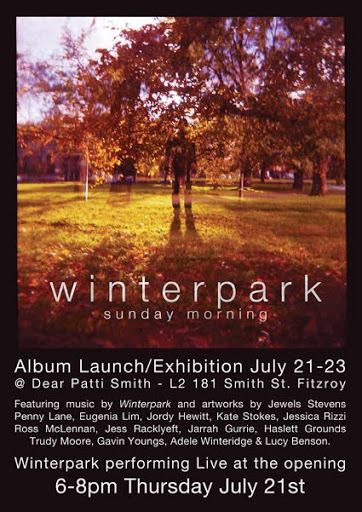 Dear Patti SmithThursday (opening 6pm) July 21st – Sunday July 24th.